Smallbone, Joel and Luke. With Hue, Nancy. 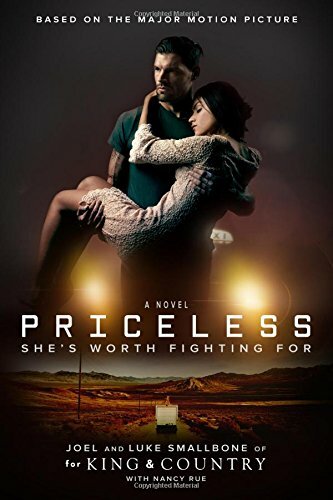 Priceless: She’s Worth Fighting For- Based on the major motion picture. Franklin, TN: Worthy Publishing. 2016. This entry was posted in Christian Books and tagged Christian, Christian Author, Christian Authors, Christian Book Review, Christian Contemporary, for KING & COUNTRY, Human Trafficking, Inspirational, Priceless by Savurbks. Bookmark the permalink. Sounds like an interesting and necessary read. Thank-you for your review. Yes, it looks to be as good as the movie. Thanks for visiting!